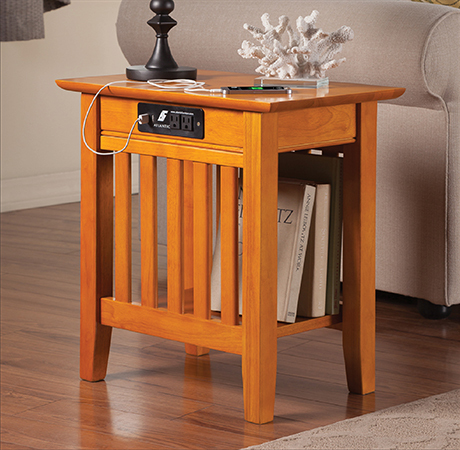 A collection of classically styled coffee, end, and chair side tables designed for a modern lifestyle. 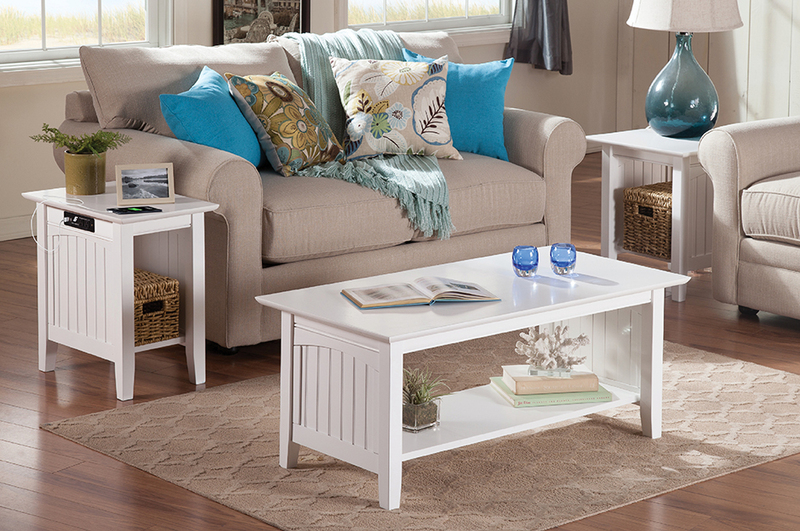 We created these tables to perfectly accent your couch or living room chair. 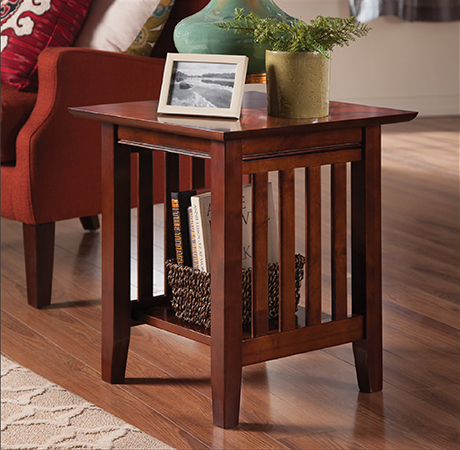 Fashioned with care and craftsmanship to stand the test of time, our tables have sturdy leg assembly and a durable high build five-step finish. 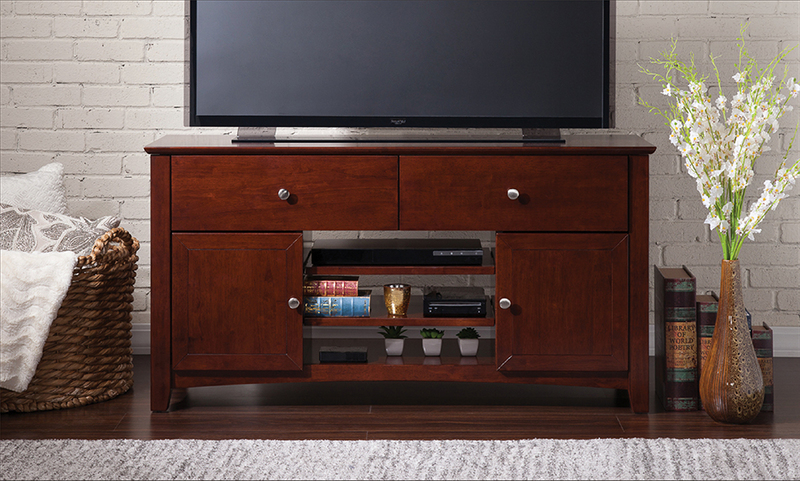 This is furniture you'll love for a lifetime. Chic meets cottage with our tongue and groove, beadboard design. 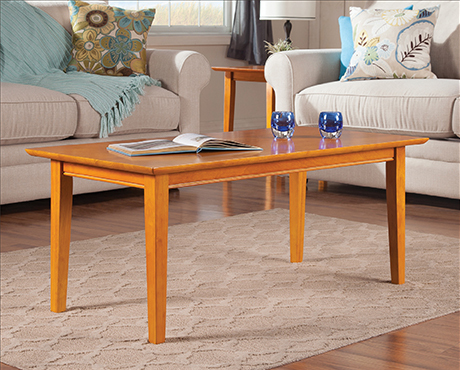 This vintage style brings a timeless aura of comfort to your living room. 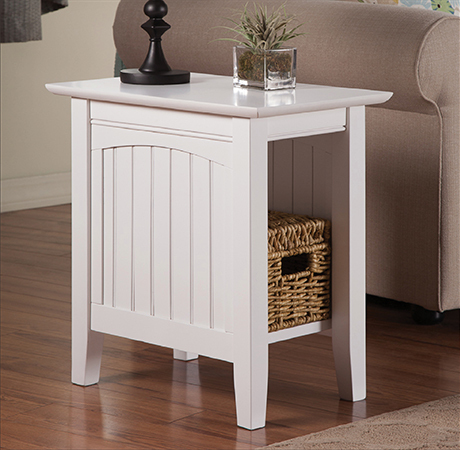 Nantucket tables also feature a lower storage shelf. 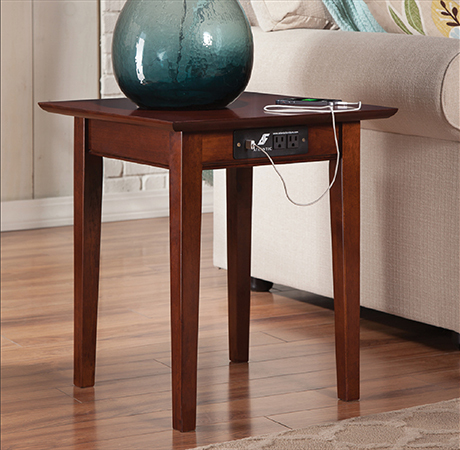 Functional and fashionable, our Mission style tables are sure to be a focal point for your living space. 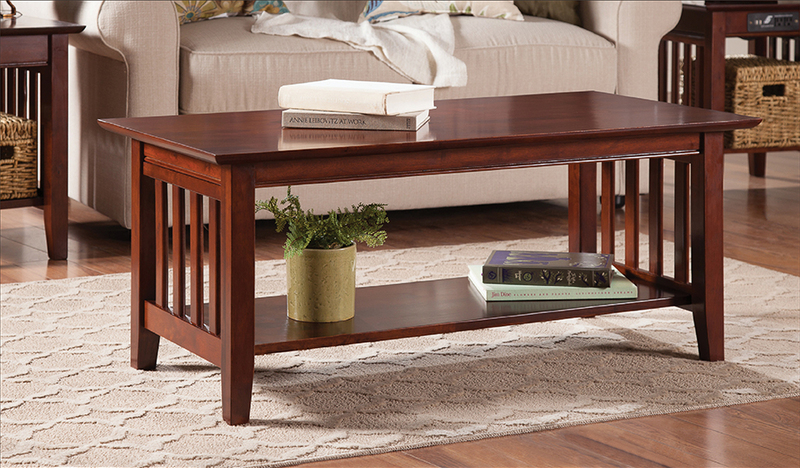 Mission tables feature signature vertical slats and a lower storage shelf. 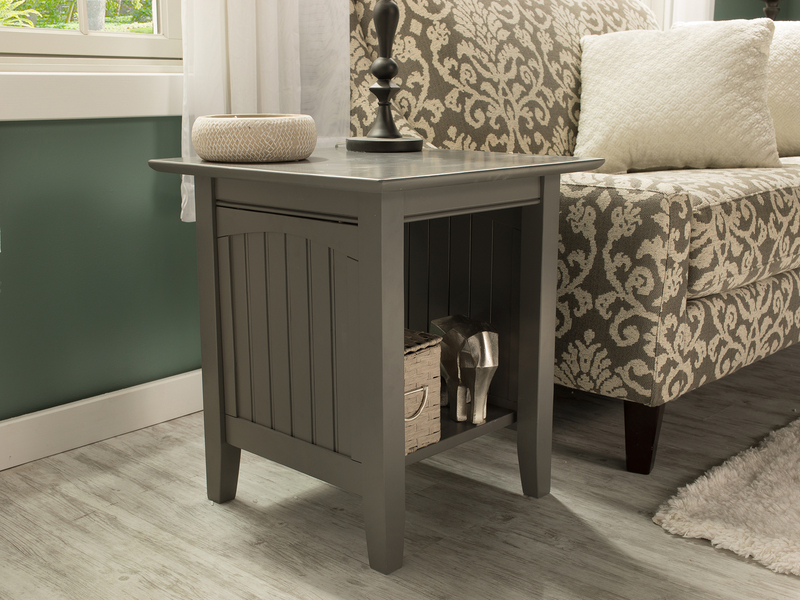 Shaker-inspired design brings sophisticated functionality to your living space. 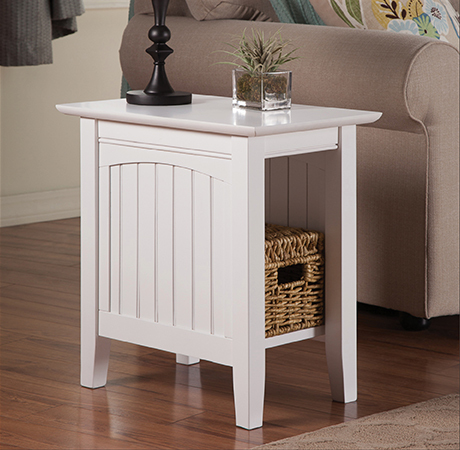 A slim style that is both modern and classic, our Shaker tables are a must-have for any home. 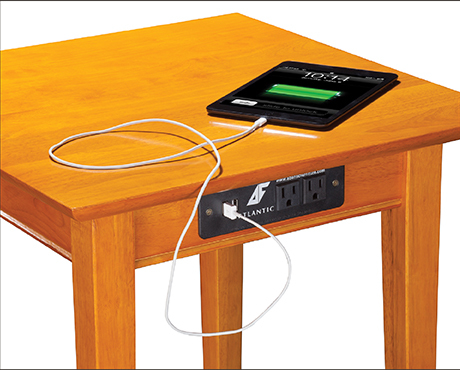 Most Atlantic Furniture living room tables are available with an optional, built-in charging station that features two USB ports, two 120v AC outlets, and a nine-foot cable.